An Codú: Jack & Jill níos saibhre! Jack & Jill níos saibhre! 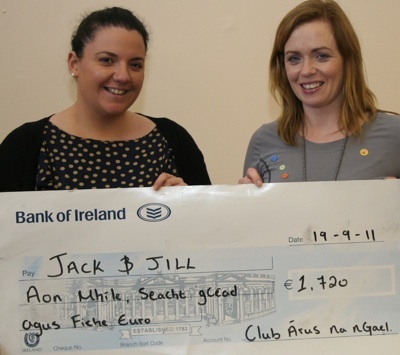 Baba Ní Fhlatharta, Club Árus na nGael, ag bronnadh seic €1,720 ar Kathy Keighery ó Jack and Jill. Bailíodh an t-airgead mar thoradh ar chomóradh 25 bliain an Chlub. Bailíodh €1,720 don charthanacht Jack and Jill (Béarla) mar thoradh ar chomóradh 25 bliain Club Árus na nGael i nGaillimh. 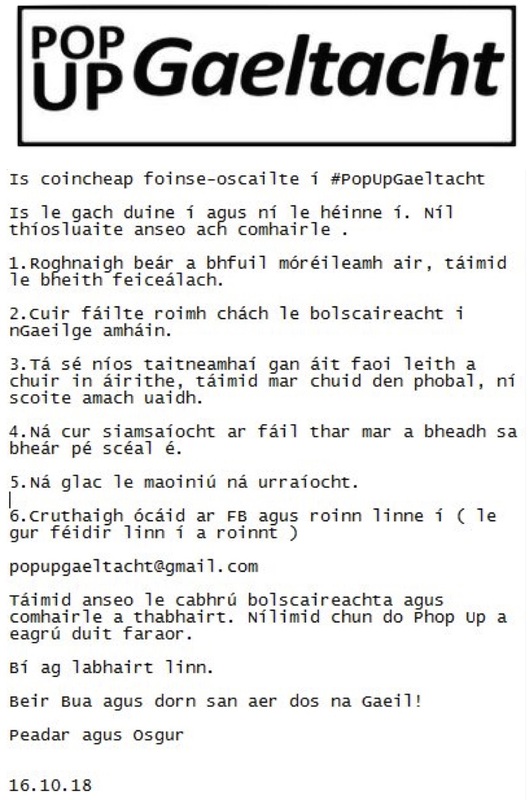 Tá an t-airgead bronnta ar Jack and Jill agus bainfidh siad leas as an airgead seo chun seirbhís bhanaltrachta a chur ar fáil do pháistí óga le fadhbanna néareolaíochta agus freisin chun tacaíocht a thabhairt do theaghlaigh na bpáistí sin. "Míle buíochas le gach duine a bhí páirteach agus a thug tacaíocht don chomóradh agus leanfaidh bhur dtacaíocht anois san obair atá ar siúl ag Jack and Jill." a deireann lucht an Chlub!